Is there anywhere to heat up food and feed my baby? Do you have a Buggy Park? Is the centre buggy accessible? Will the weather affect my visit? Do you have pop badges?  Is there anywhere to eat lunch at SEA LIFE Birmingham? Is there anywhere to store my belongings or pushchair? This aquarium is fully buggy accessible however we unfortunately do not have any cloakroom facilities for you to be able to store belongings, buggies or pushchairs on site. During busy periods such as weekends and school holidays we recommend visiting without a buggy where possible. Do you have an Access Guide for the centre?